In addition to the packs provided with your Moviestorm licence, and in the Marketplace, there are loads of mods available from other Moviestorm users. Below is a list of a few contributors - it is not an exhaustive list. Some are free, some cost money, and the quality varies wildly. Some may require you to have specific content packs or versions installed in order to use them, but they offer great opportunities to extend your Moviestorm filmmaking. There's no central repository for mods, but here are some places to look. This isn't an exhaustive list - let us know of any others we don't know about! The new releases section of the modders' forum is a great way to find out what's new and who's building what. Please note that third party mods are not supported by Moviestorm. Not all mods will work on all versions of Moviestorm, and some mods may not be compatible with others. Chris Ollis's site has some of the best Moviestorm mods available. This wide-ranging collection includes a castle builder set, action-based animations, face wounds, horses and unicorns, medieval costumes, computers, and even Cthulhu! Shirley Martin maintains an enormous and fast-growing catalogue of mods, including costumes, props and set dressing. She's got three major collections of mods, covering the Victorian, Medieval and Western periods. In addition, she has some modern and some sci-fi content. The site also hosts mods by other people - get in touch with her if you're looking for somewhere to sell your wares! This is the modding site for Gerald Lang. Some great free mods and other useful links here, plus some commercial mods coming soon. A great cave AddOn can be downloaded from K.Arthur's site, plus some good Blender tutorials and other movie related info. 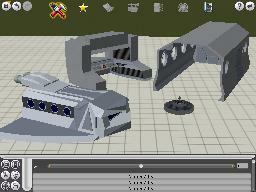 Reptor7 is behind Hursto Presto Productions and has produced a number of sci-fi modes, including vehicles and buildings, plus other stuff. 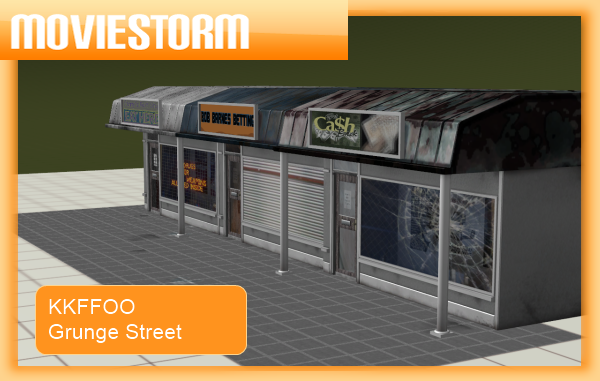 If you are interested in creating your own assets that you can use in Moviestorm, please take a look at the Modding section of our website.